2001 (Daniel's first Christmas): Just a simple "JOY" ornament because that's what we felt, having Daniel join our family. No real milestone as he was only 6 weeks old. 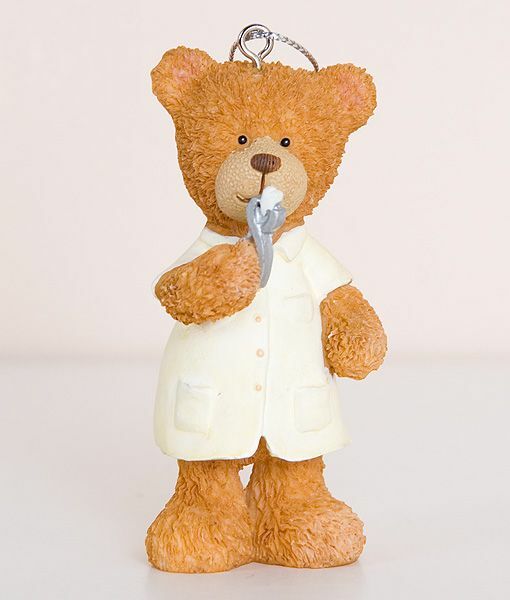 2002: One of the first words that Daniel said was "teddy" so we bought him a teddy ornament. 2003: He was going through a very clingy stage and would follow me around saying, "Huggy Mommy, huggy Mommy!" 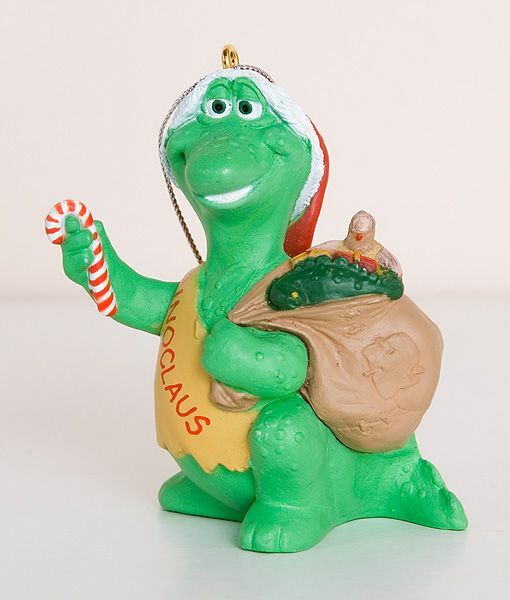 When I saw this ornament with the little arms flung wide it looked like he was asking for a hug so I bought it for Daniel. 2004: We were in Cape Town for Christmas. 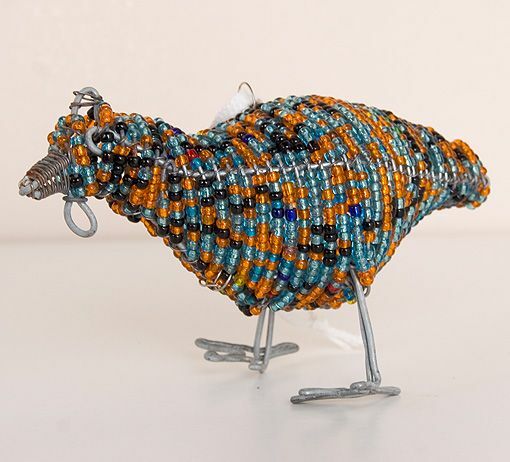 Daniel chose this bead and wire guinea fowl at a craft market and played with it while on holiday. When we got home I added a wire loop and some ribbon to hang it on the tree. 2005: The beginning of the dinosaur obsession. 2007: He lost his first tooth. 2008: He learned to ride his bike. 2009 (this year): He learned to swim and got glasses. 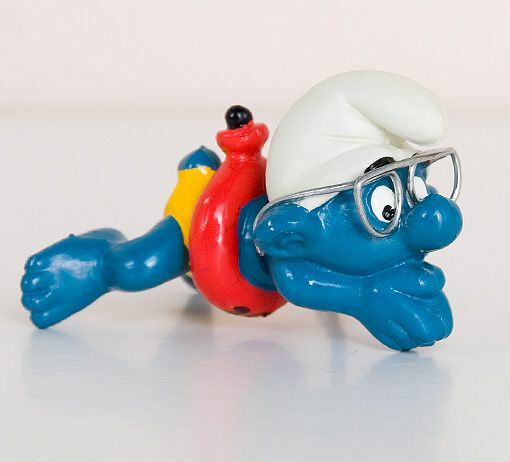 I found this Smurf toy on eBay and made some wire glasses for him, which I glued on. 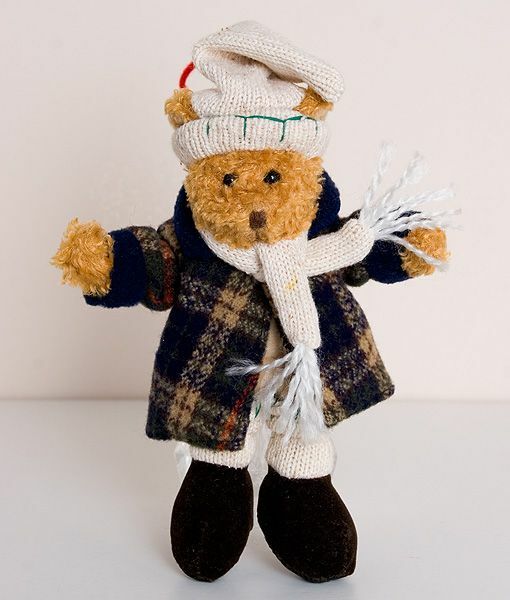 I added some embroidery floss around his waist so he can hang from the tree. 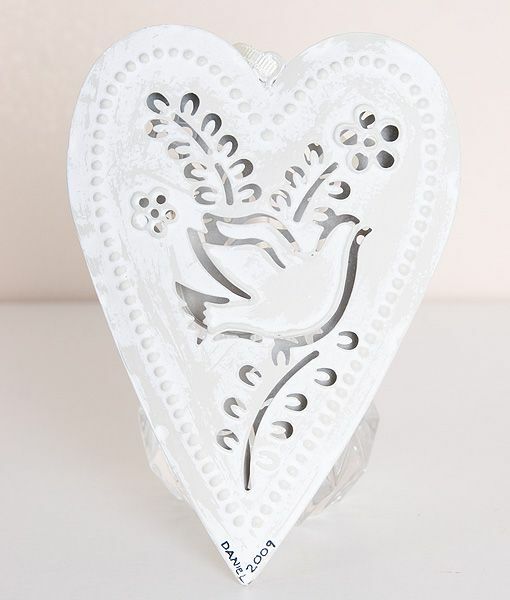 This year Daniel also got an extra ornament to commemorate his baptism - the white dove represents the Holy Ghost. 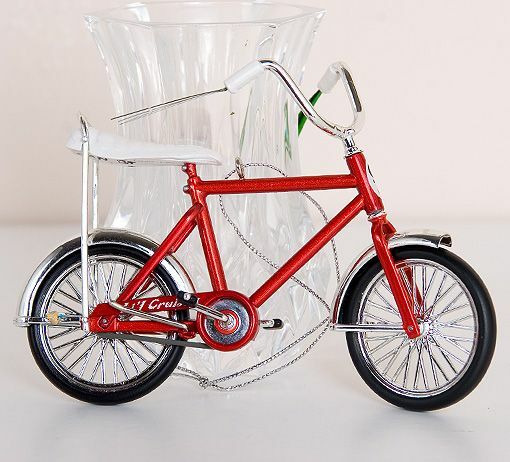 The year he gets the priesthood he'll also get an extra ornament (a key). 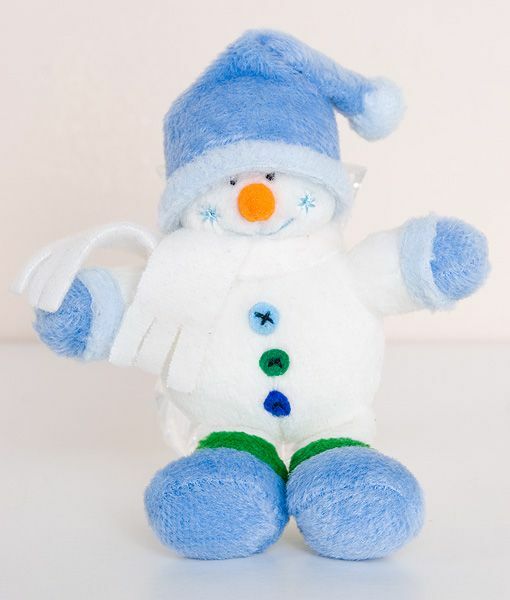 2005 (first Christmas): He was such a chilled out baby that I bought him a snowman. 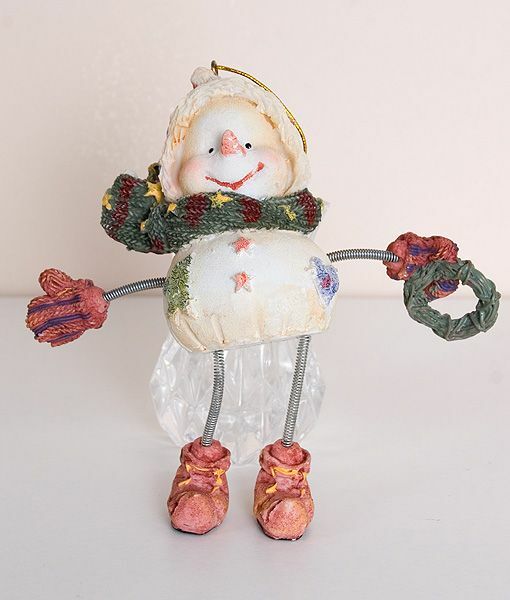 If you squeeze him it plays Frosty the Snowman. 2006: He became obsessed with cars and adored Weetabix. He would eat 5 for breakfast! (For those who aren't familiar with Weetabix, it's a wheat biscuit breakfast cereal and most adults eat 2!) 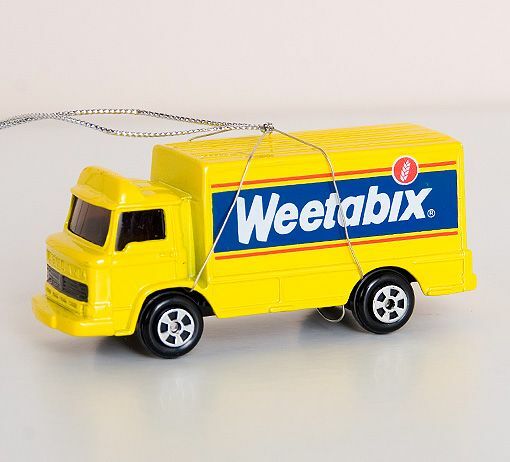 I bought this little Weetabix truck on eBay and added some wire to attach cord to hang it. 2007: The car / truck obsession continued. He didn't do much else! 2008: He was going through a very chatty phase and would NOT.STOP.TALKING all day long. 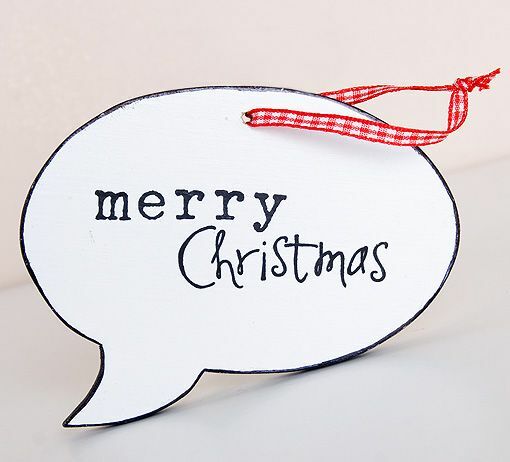 I ordered this little wooden speech bubble from an Etsy seller and painted it white with a black border. I added the sentiment with rub-on letters. 2009 (this year): He started school. 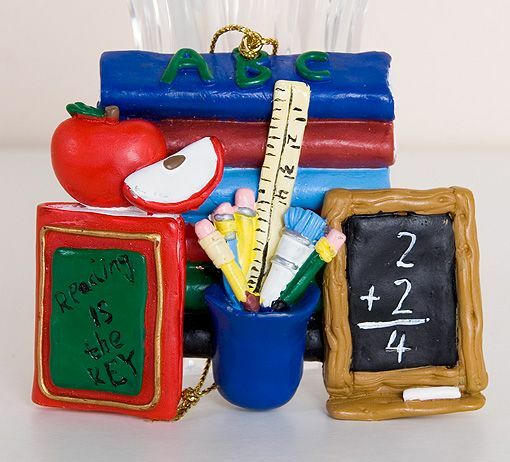 I've had so much fun choosing or making each year's ornament and one day when each boy leaves home he'll have a box of 21 (or however many) ornaments, which tell the story of his life, to hang on his own Christmas tree in his own home. 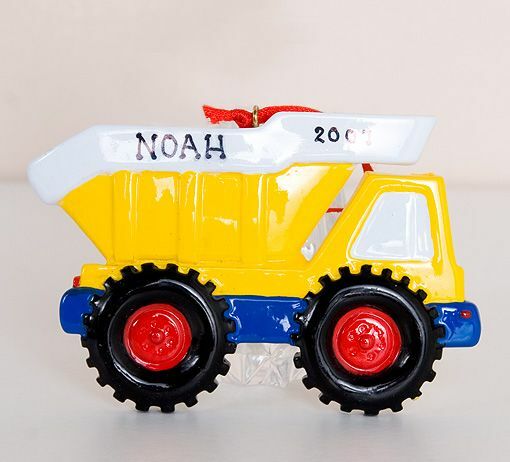 I've made sure I included each child's name and the year on the back of each ornament and I'll include a little photo album detailing the explanation behind each ornament.